Following our recent IoT UK Boost win, we have been profiled by the Digital Health Enterprise Zone, a partnership between University of Bradford, City of Bradford District Council and BT. 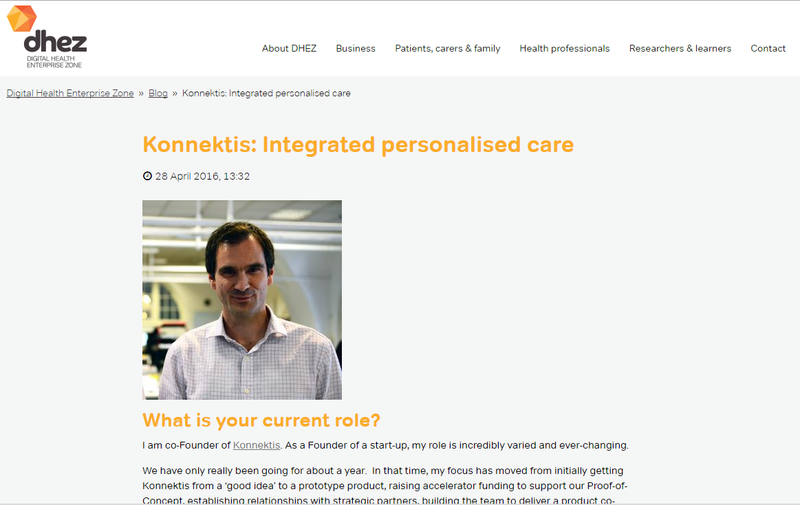 Together with ODI Leeds and Digital Catapult, Ian Sharp and his enthusiastic team at DHEZ have been extremely supportive of our vision and co-design approach to improving care outcomes for older people in our communities. You can view the blog here and the video of the IoT UK Boost event here.